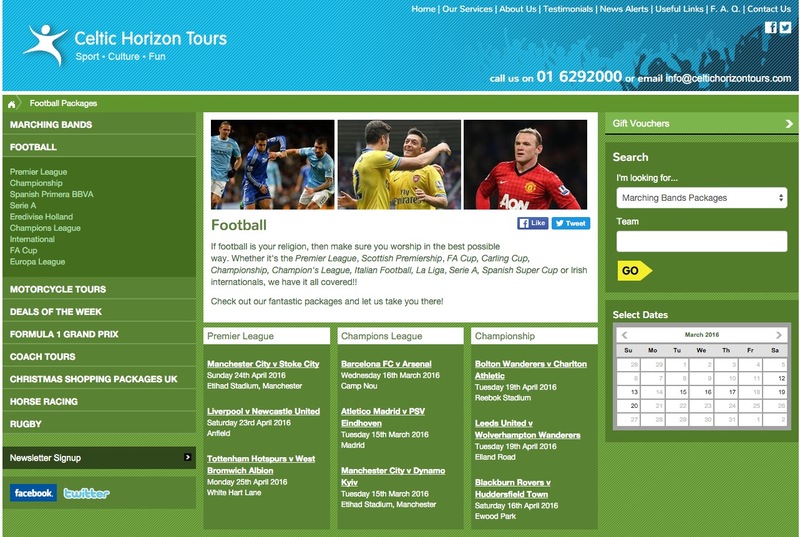 An online travel website & booking engine that offers a large inventory of English Premiership, Champions League Soccer and more..
Communicraft developed a bespoke website and web application with integrated search and booking engine for Celtic Horizon Tours, Ireland’s leading sports and activity travel company. Visitors to the site can quickly locate and book their packages using the highly intuitive search and booking facility designed and developed by Comnmunicraft. Another of Communicraft’s portfolio of Online Travel projects, the site integrates with Celtic Horizon Tours’ back office systems using XML Web Services API. More recently, the user interface was given a makeover and now offers the site users a more responsive experience, whether on desktop, tablet or a mobile device. 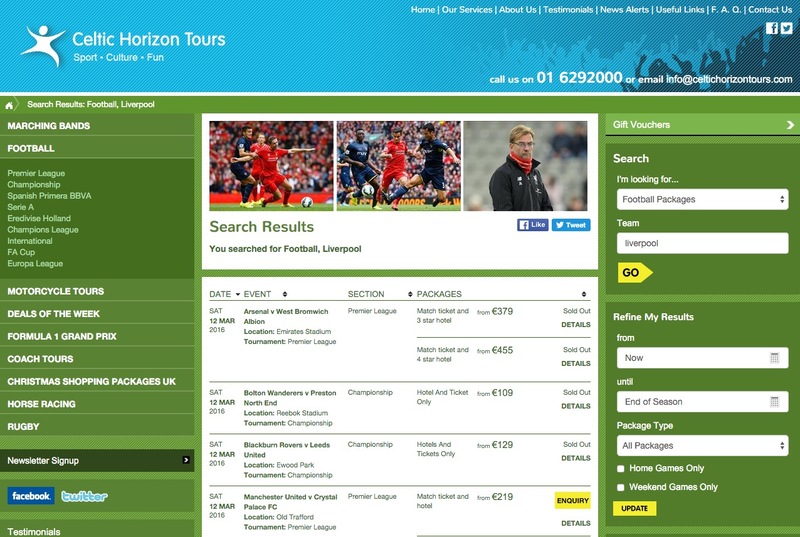 Communicraft have also designed and developed several mico-sites for Celtic Horizon Tours which are integrated with the functionality of their custom back end and booking engine.